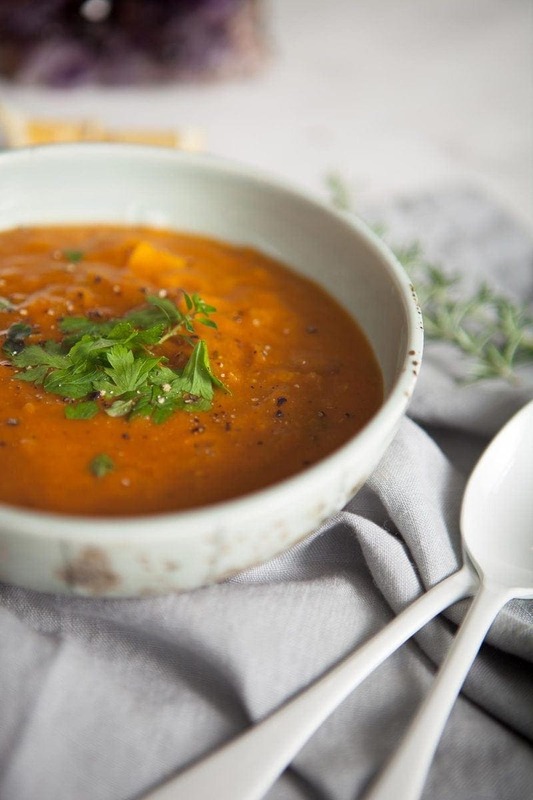 This Nourishing Red Lentil Soup is full of immune boosting nutrients. Lentils are protein and zinc rich, sweet potato brings vitamin A, rosemary is anti-microbial, garlic is warming, ginger boosts circulation, and turmeric is anti-inflammatory. So much goodness all in one bowl! I had this beautiful memory come to me the other day. When I was small, my Dad would ask to buy my cold from me any time I caught one. He would procure a shiny coin from his pocket and barter with me for my bucket load of snot, coughs and tickles. Whether it was the power of the mind in full force, or some unseen, cosmic energy of the universe, I would cave and sell my bug, and almost instantly feel better. Now before you start feeling sorry for my old man – part of the magic of this deal was that the coin gave him immunity to any and all microbes it was exchanged for. Pretty cool right? I used to think so, and I very much wish I had a magic coin from a willing buyer for my cold this week! After being bundled up on the couch all weekend, I at least got a chance to write a few immune boosting recipes, one of which is today’s recipes. 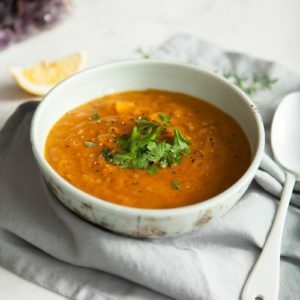 It is my take on the classic Turkish Red Lentil Soup, which used to be be an absolute obsession whilst waitressing at a Spanish Restaurant years ago. Red lentils are a good source of plant protein – about 45g per cup – this recipe serves two so that’s about 12g protein per serve . Getting adequate protein is important as it helps maintain a healthy and strong immune system. Red lentils are also a good source of the mineral zinc, which is super critical for healthy immune function. It also has anti-inflammatory effects by reducing reactive oxygen species and down-regulating inflammatory mediators . If you were to take only one thing for your cold, next time it strikes, zinc would be a great idea. A recent study found taking zinc acutely in amounts of 75mg daily could reduce the length of the common cold by a day. It works by stopping the rhinovirus from replicating . Vegetarians are particularly at risk of deficiency, possibly due to the fact that plant sources such as lentils, whole grains, nuts and seeds, contain phytates which form a strong complex with zinc, making it near on impossible to absorb . To reduce these pesky, inherent anti-nutrients, its really important to take the extra time to soak your lentils in ample water with a dash of apple cider vinegar, for at least a few hours, to help neutralise their inhibiting effects, and if you can go on to sprout them – even better. One factor working in your favour here – the quality protein in lentils (particularly the amino acid histidine) actually has a positive impact on zinc absorption . 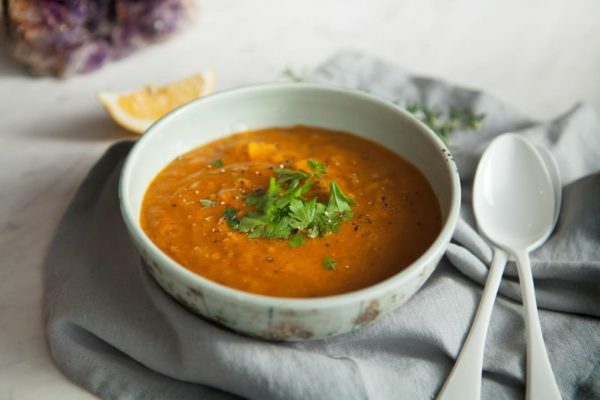 Traditional Turkish Red Lentil Soups use potato to thicken the recipe. 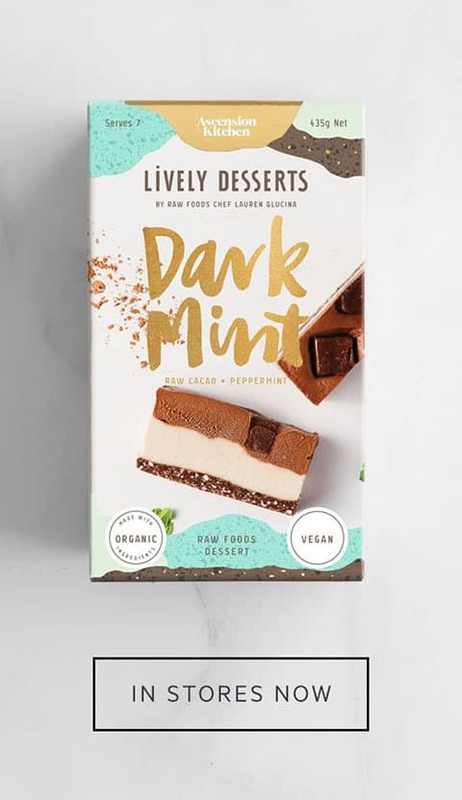 Sweet potato is a better choice because it contains a precursor to vitamin A in the form of beta-carotene, thanks to the lovely orange colour. Be aware – vegetarians depend on the conversion of beta-carotene to vitamin A as vitamin A itself is only found in animal sources. As a fat soluble vitamin, the inclusion of a quality fat such the olive oil in this recipe helps its absorption . Vitamin A is positively associated with a healthy innate immune response, it is known to reduce intestinal inflammation (where a large component of our immune system resides), and restore the integrity of mucosal membranes (think your gut lining, lungs, mouth, nose and bladder) . The addition of rosemary to this recipe was a happy accident as some nasty bugs have all but demolished the rest of my herbs in the garden, which doesn’t say much about my gardening skills now does it?! The medicinal qualities of the volatile oils in rosemary sadly are dissipated by heat as you cook, but there still remains some antibacterial, antiviral and anti-inflammatory constituents in the plant, plus, a little fresh leaves sprinkled over the top makes for a pretty garnish . It is a Sun plant in astrology – helping build life force energy, and has a long traditional folk use in treating the common cold. The therapeutic properties of garlic depend on you eating it raw, so once its been cooked it no longer imparts those benefits. It does however bring a great energy to the recipe, as it is both warming and stimulating. We use the phrase ‘circulatory stimulant’ in Herbal Medicine when we talk about ginger, as its warm nature gets the blood flowing and thus helps in the delivery of nutrients via fresh blood to the tissues. It also has both anti-inflammatory and antimicrobial compounds . My goodness I’ve written about turmeric a lot on this blog, and have researched the benefits and presented them in depth here. 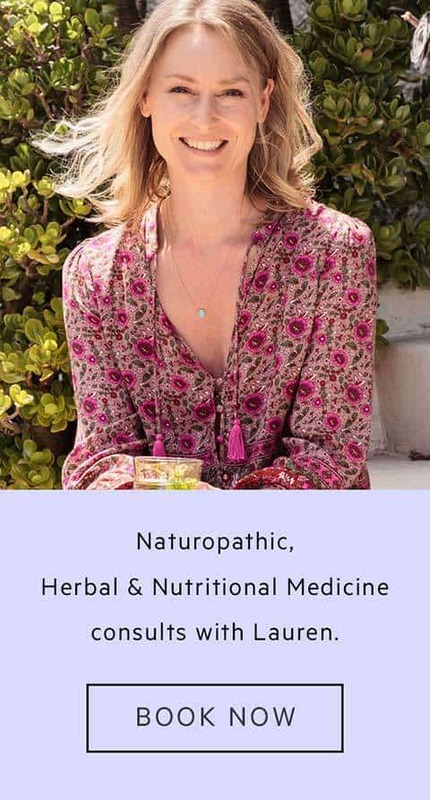 In regards to immune function, it has been shown in some animal studies to have an immunomodulating effect , but I like it for its general antioxidant and anti-inflammatory nature. So there you have it, a pretty potent soup don’t you think? Its only my partner and I at home so this recipe is made for 2, I recommend make a double batch as its so delicious you’ll want leftovers. 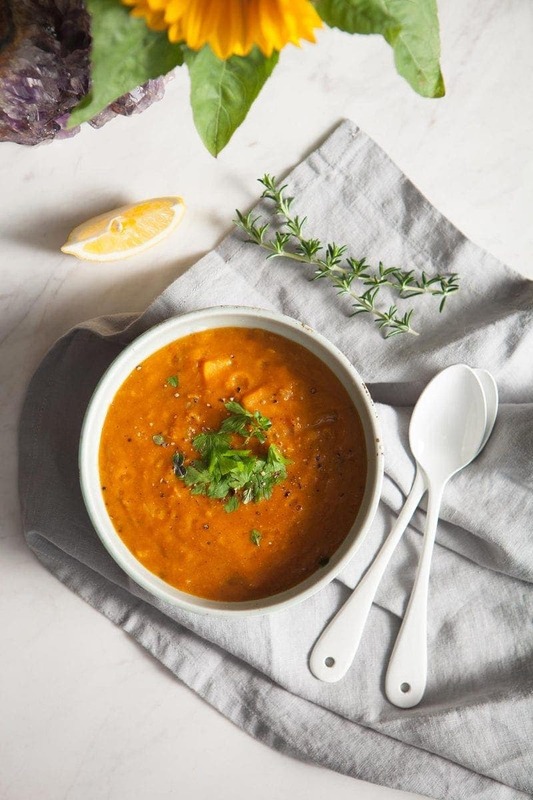 Nourishing Red Lentil and Rosemary Soup. Note prep time does not include the 8 hours of suggested soak time for the lentils. Prepare your lentils in advance – soak in a bowl of filtered water with a splash of apple cider vinegar for about 8 hours. When you’re ready to cook, drain and rinse them and set aside. Prep your vegetables/herbs/spices – finely slice the onion, peel and mince the garlic/turmeric/ginger, and chop the tomato and sweet potato into 1cm cubes. Heat oil in a large saucepan, cook the onions till golden, then add garlic and cook another minute. Add all other ingredients, cover, bring to a boil and reduce to a low heat/simmer, cooking for about 30-40 minutes or until liquid has reduced by about 2 cups. Once cooked, remove rosemary stalks from soup then let cool for 15 minutes. Transfer half the mixture to a a separate bowl, use a stick blender to whiz till smooth, then recombine. Serve with the juice of half a lemon in each bowl, and drizzle with quality olive oil.